Ideal for rapid removal of water at the basement level! The Atlantis Vertical Drainage system is perfect for controlling water seepage, ideal for underground car parks, basements, retaining walls, seepage cutoff trenches providing hydro-static pressure relief. Our Flo-Wall product is a durable wall drain which solves many existing problems in modern architecture. 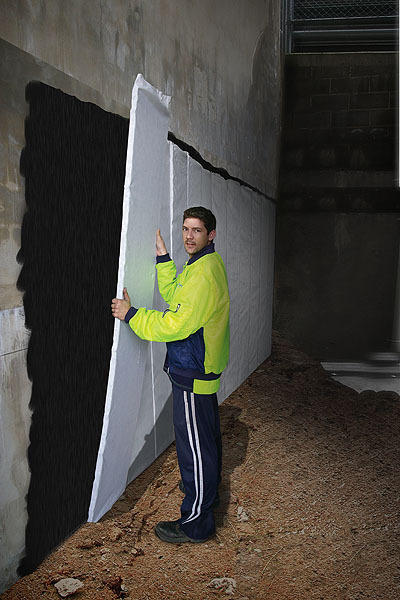 The Atlantis Flo-Wall® range is ideal for the rapid drainage of saturated ground. The Flo-Wall® range is suited for applications including underground car parks, basements, retaining walls and seepage cutoff trenches. The Atlantis Flo-Wall® range features high compressive strength that will not crush over time ensuring long term drainage performance. 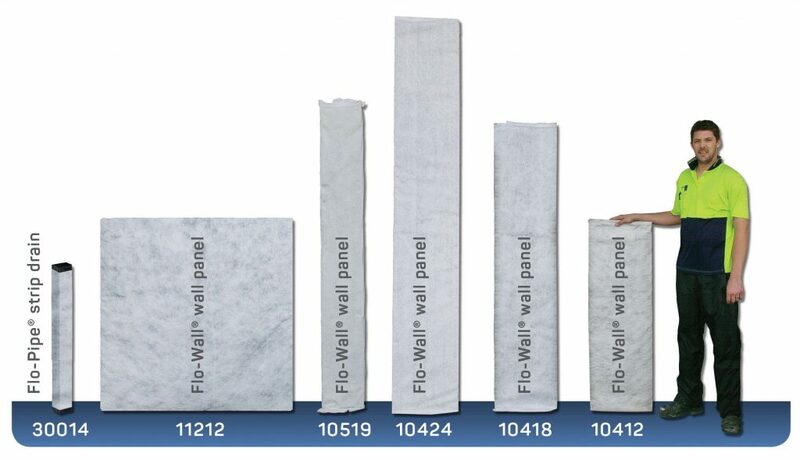 The Flo-Wall® range are prefabricated products wrapped with a high quality Italian made geotextile with hydrophilic properties for effective drainage that does not require a head of pressure to perform. 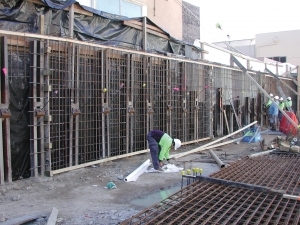 The Atlantis Flo-Wall® range can be easily connected together to form the lengths required for the project. 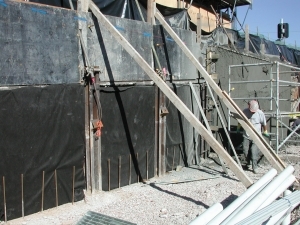 Each Flo-Wall® is provided with an overlap allowance of geotextile to allow each connection to be appropriately sealed with tape. 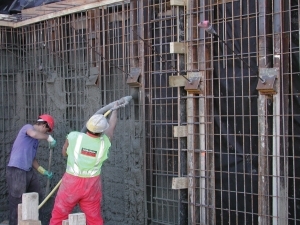 The Flo-Wall® range is suitable for retaining walls, foundation walls, basements, underground carparks, bridge abutments, civil structures, tunnels and anywhere hydrostatic pressure relief is required. The product is easily installed by one person and rigid enough to easily place and fix on the wall in seconds. The product is ideal for shotcreting saving time and labour costs through rapid installation and thereby reducing labour requirements. Chemical Resistance Excellent resistance to, Acids, Alcohols, Bases and Mineral Oils. Good resistance to Aliphatic Hydrocarbons, Ketones and Vegetable Oils.